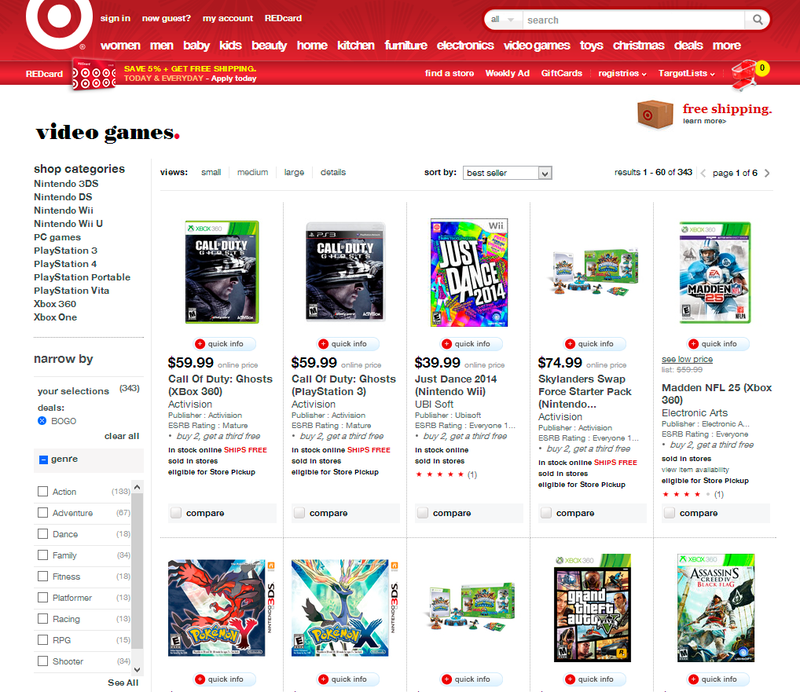 Yesterday we reported that Target would be doing a “buy two get one free” deal for select Xbox One games. We were wrong. It also applies to other gaming systems (including the Playstation 4, if for some reason you’re not taking advantage of the Amazon PS4 game sale) but is unfortunately still extremely limited in terms of which games are actually available under the promo. There are loads of current-generation Xbox 360 and Playstation 3 games available with the offer though (including titles like GTA V) so who knows, maybe you can still make use of it and grab at least one next-generation title on the cheap. Otherwise if you are a soon-to-be new PS4 owner, then just hit up the Amazon sale!